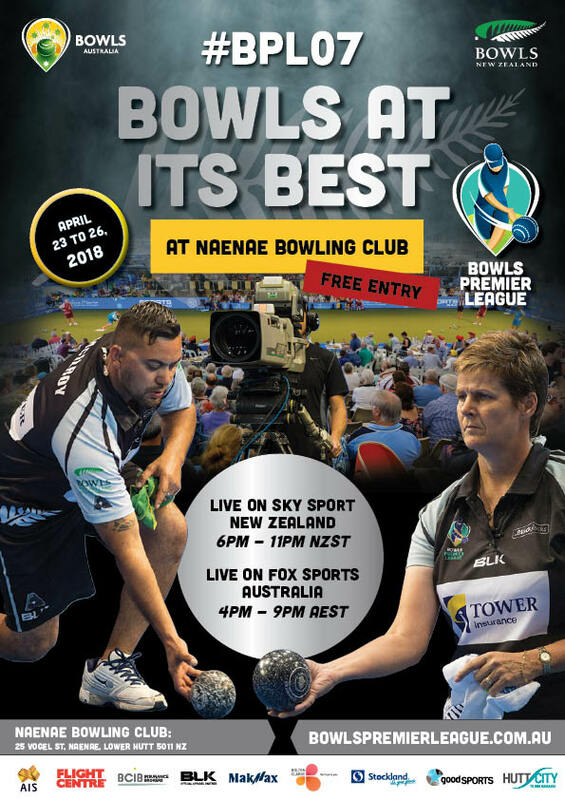 Top teams from Australia as well as the NZ Blackjacks will be taking part in the 7th edition of the Bowls Premier League at the Naenae Bowling Club 23 – 26 April 2018. There is play during the day and late into the evening as per this BPL Schedule 2018. Sky TV will be televising the evening sessions from 6pm but entry to Naenae will be free so go and enjoy the bowls at its best live in the flesh! The more spectators and atmosphere, the better our sport and Wellington will look to the Australasian television audience.